Electronics Costs > How Much Does iCracked Cost? How Much Does iCracked Cost? iCracked offers trained and certified technicians who are able to meet you whenever and wherever you need your phone to be fixed. Founded in 2010, the company has expanded to more than 600+ locations and has one of the largest “iTech” networks, with more than 5,000 and counting. How much does iCracked repair cost? According to the official website via their FAQ page, the company noted the prices will vary depending on the service you choose and the type of repair you need to be performed. As the company offers three options, which we explain below, the costs can vary quite a bit. 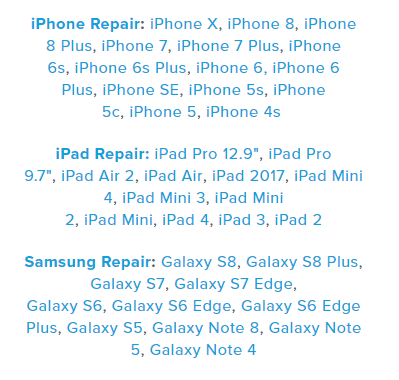 From our research, however, which we include our findings inside of the table below, most of the prices for the on-demand services tend to be in the $69 to $129 range; however, for some phones, such as the Galaxy S8, the costs to replace a broken screen could be as high as $325. For on-demand services, as long as you’re within the company’s radius, you can request a quote via the website by entering your zip code, choosing your device and the issue you have, and with this information, once you choose an appointment, you can receive an estimate. To give you an idea as to what you may pay, we played around the with the cost estimate tool for most of the newer iPhones and Galaxy smartphones and included our costs below. Keep in mind that these are the estimates we received at the time of this publishing and are subject to change. Use the official website for accurate pricing information. 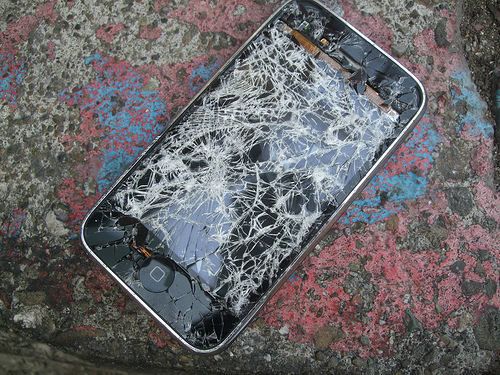 As for those who want to repair the phone on their own via the DIY kits, the screen replacement and repair kits, depending on the phone you own, ranged anywhere from $14.99 to $69.99. The on-demand service, as noted, is “on demand,” where you can request a technician to meet you at your home, work or a specified location, as long as you’re within the company’s radius. According to the company at the time of this publishing, there are more than 600 locations where iTechs can meet you, often performing the repair in less than one hour, with a lifetime warranty included at no cost. The mail-in service, with more information found via the website, allows you to mail your device directly to the company and based upon the repair needed and the damage incurred, the company can then offer a quote. For those who want to perform the job on their own, the company also offers DIY kits for specific makes and models, including everything you need to perform the repair, from the tools to the screen replacement, for instance. To find the DIY kits via iCracked.com, you can do so by visiting the official store. From most of the Yelp reviews we looked at online, the average rating ranged anywhere 4 to 4.5 stars, but since these reviews are heavily dependent upon the location nearby, your review could be different from the next. However, those reviews we did read, the positive reviewers talked about the convenience and how fast the repair was completed, whereas a lot of the negative reviewers either complained about the low-quality parts used, the problems that arose in the future and/or the particular tech being late and/or not friendly. Again, your results will vary, so we highly recommend you check out the Yelp reviews for your local iCracked location to see what people are saying. In this CNET review, Rick Broida noted iCracked was one of the cheapest options and the convenience of the on-site repair, in as little as an hour for the repair, was highly recommended.